Deck out your home with DEKOR® premiere deck railing panels that enrich, elevate, and reveal its natural charm. Discover our sleek and stylish glass and aluminum panels that deliver low-voltage luminosity with lasting impact. With our collection of Perfect Panels, you can choose from 3 different heights of deck railing panels, allowing you to simply slip each panel into your existing deck with no problems. Offered in 26”, 27”, and 32”, you can find the ideal sizing for your home’s exterior in no time. With any and every panel, customization, and selection, our deck railing panels collection is always offered in 3 sizes. It’s never been simpler to create an integrated and impressive decking system with our deck railing panels collection. 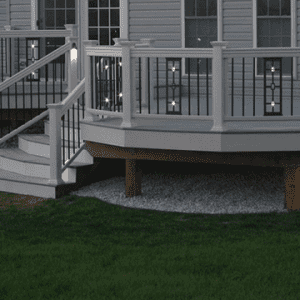 With every deck rail, a durable aluminum end cap borders the top and bottom of the panel. 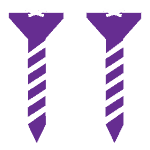 With just two wooden screws required for each end cap, all you need to do is simply screw each end cap into your deck for strong and lasting stability. With our durable safety glass and cast aluminum, your deck will withstand strong winds, storms, and snow with ease and grace, standing strong for years to come. 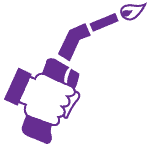 Each and every perfect panel is conceptualized and constructed with first-class technicians and materials. The cast aluminum panels are a full ½” thick, and both included end caps are individually welded from the strongest aerospace-grade aluminum on the market. Comparing to the average industry thickness of ¼”, our smooth glass railing panels are ½” tempered glass. With pencil-polished edges the competitor’s don’t offer, DEKOR® glass balustrades stand out from the rest with a smooth and sleek finish. All of our Perfect Panels have the ability to be embedded with energy-saving Cree LEDS to light up the night with superior sparkle. 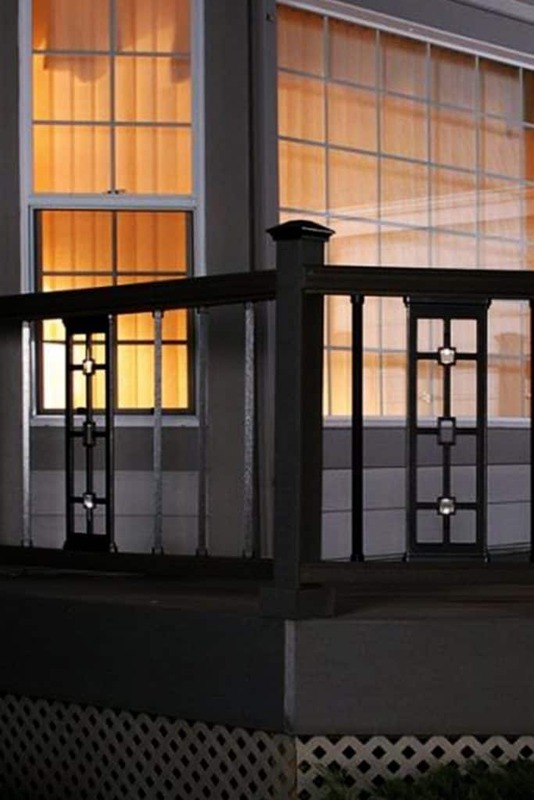 As the lights shine from your deck railing panels, your house will glow with unrivaled elegance and charm. 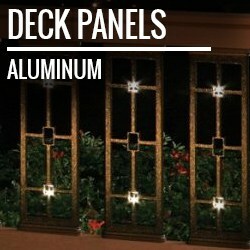 With the aluminum deck railing panels, two Cree LED lights will radiate from the top and bottom of the intricate metal design. And, with the glass balustrades, your lights will dazzle through the etched design of your choosing, creating a stunning effect for all to see. DEKOR® Perfect Panels are a standout piece for any home, with intricate designs and metal patterns sure to make a statement. With the aluminum railing panels, a geometric rectangular pattern is constructed from cast metal, and powder coated in a range of shades and hues to complement your home’s style. 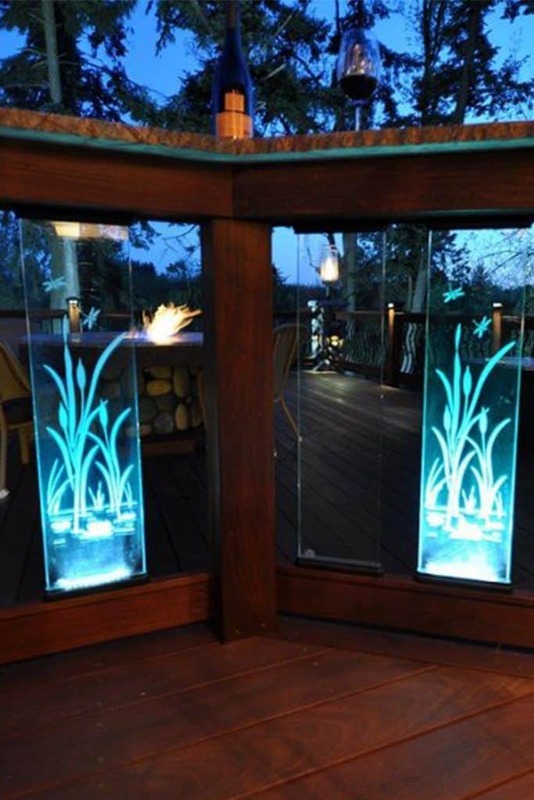 If you want to create a modern and luxe look for your deck, our etched glass balustrades are made for you. With a diverse collection of 10 etched glass designs ranging from palm trees to roses, you can add unique artistry and refinement to your deck in no time. 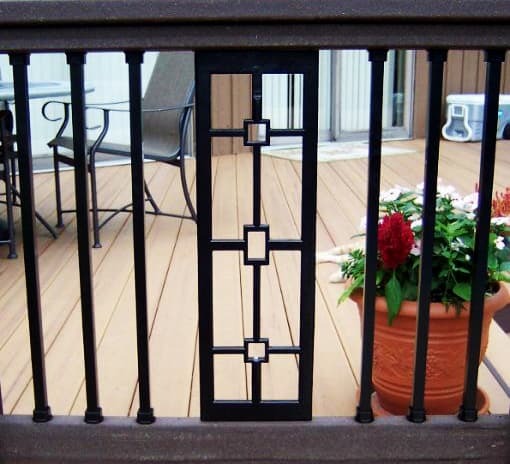 And, you can even create a custom etching design to truly make your deck railing panels one-of-a-kind. With all of our deck railing panels, you can customize your panels to complement your home’s style and shade. Available in 7 natural powder-coated metal finishes ranging from oil-rubbed bronze to gloss black, you can choose the metal shade that gracefully accents your home best. Add vibrance and pack punch with stand-out hues like black gold or hammered white, or create vintage elegance with shades like dark copper vein and brown speckle. No matter what shade you select, your coating will stay polished and smooth for years to come. Powder-coated color choices are available for all aluminum railing products, as well as the machined end caps on the glass Perfect Panels. With all of DEKOR® deck railing panels, you can customize your panels to complement your home’s style and shade. Available in 7 natural powder-coated metal finishes ranging from oil-rubbed bronze to gloss black, you can choose the metal shade that gracefully accents your home best. Add vibrance and pack punch with stand-out hues like black gold or hammered white, or create vintage elegance with shades like dark copper vein and brown speckle. No matter what shade you select, your coating will stay polished and smooth for years to come. 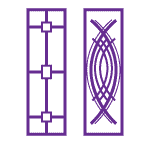 Powder-coated color choices are available for all aluminum railing products, as well as the machined end caps on the glass Perfect Panels. “Your perfect panels and balusters finished off our house beautifully. Your product was one of the few products we purchased for building our dream home that actually lived up to what we read about it." With DEKOR® aluminum decking panels, your home will be accentuated with a gorgeous metal arrangement that fits snugly into your existing deck. Individuality welded and handcrafted from aerospace-grade aluminum, you can truly achieve lighting for life with our LED aluminum railing. Our aluminum deck railing panels are sourced from only the highest quality of materials, using cast aluminum to provide sturdy and strong support you can count on. 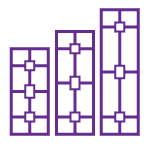 Each panel is 7.5” wide, so we suggest using 1 panel per linear foot of railing as a guideline to determine the number of panels needed. The panels and end caps are robust and heavy, weighing 6.7 lbs per panel. Available in 7 powder coated metal shades, ranging from hammered white to black gold, harmoniously blend our aluminum railing into your home, mirroring the existing hues and colors throughout. And, you can even find seamless deck railing panels that effortlessly fit into your existing decking material, with 3 size selections of 26”, 27”, and 32” tall. If you’re looking for accented elegance, but you don’t need the shine, all of our aluminum railing is offered without lighting, allowing you to deck out your home without illuminating it. To create a truly integrated and eye-catching display on your deck, pair up our Aluminum Perfect Panels with our Classic Balusters. Set your home apart from the rest with this perfect pair of deck railing panels. 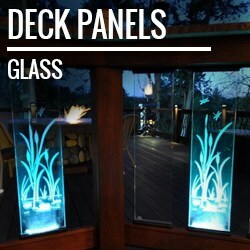 If you’re looking to make a beautiful statement, our glass deck panels are the modern touch you need for your home. Smooth and sleek glass railing gives you unobstructed views of the great outdoors, with a minimalistic and modern edge that elevates your home’s exterior. Curated from safety glass to protect your family from accidents or injury, our decking material sets the tone of your home before anyone ever steps foot inside, creating a contemporary exterior to be admired by all. With detailed etching in 10 design options, you can choose from a beautiful rose, a picturesque heron, or even a palm, to name a few. 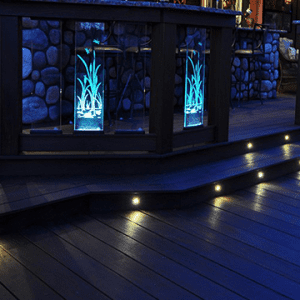 Your deck railing panels will come to life at night, with our brilliant bulbs lighting up your design and setting a beautiful scene. Or, you can select our Perfect Panels without a design, instead electing for a clean contemporary look. 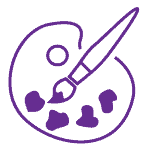 To make your home stand apart from the rest, you can even create your own custom etching design, just call 1.800.258.0344 for details and pricing. And don’t forget, you can still choose the cutting-edge look of our glass balustrades without LED lighting, if you want a sleek look without the shine. Unlike others in the industry, our glass railing is a full 1/2” thick, giving you and your family added stability and support for years to come. And, the glass balustrade’s end caps are shaped from the strongest aerospace-grade aluminum on the market, so you can rest easy knowing you have deck railing panels for life. All of our deck railing panels products are accompanied with a no-questions-asked warranty that protects you from flaws or errors in workmanship. For a tremendous 30 years, your powder-coated metal is protected under warranty. And, if something goes wrong with your lighting , it's protected for 10 years. Here at DEKOR® Lighting, we’re real people, discovering and perfect real lighting solutions for people just like us. If you have trouble understanding your deck railing panels, or you’re curious about anything related to DEKOR®, feel free to give us a call. Our customer service team is the backbone of our company, using compassion, focus, and problem-solving to help everyday people get the help they need. We treat our customers like family, because we consider you part of the DEKOR® family. If you need help with deck railing panels installation, have concerns about a product, are curious about shipping, packaging, or any specific features, don’t hesitate to reach out. 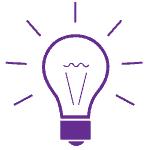 We’re online every day for prompt and attentive support via web chat, but you can also talk to us on the phone as well.